There is a saying about one of the oldest professions in the world: “If the farmer is rich, so is the nation.” A better contextual setting than India, one of the largest agrarian economies in the world where more than half the working population is engaged in food production or allied industries is hard to imagine. Unfortunately, the sector which should have been the engine of Indian economic growth has struggled to contribute more than 20% to the national GDP over the past 15 years owing to lack of mechanisation, over dependence on natural factors, underdeveloped storage and logistical amenities as well as a convoluted supply chain from the production centres to the end consumer. However, with the government setting the target of doubling farmers’ incomes by 2022, the (F&A) food and agriculture sector in general, and the ancillary food processing segment in particular, is witnessing a transition towards tech-driven growth across the value-chain. Surprisingly, it is not the established industry names playing the pivotal role in these disruptive developments within the sector. It is the humble startups. In the past, startups have successfully demonstrated their ability to revamp traditional sectors by deploying scalable future-ready solutions. Taking cognisance of their potential to fast-track modernisation and curate customised regional deliverables, the government has tried to establish a robust regulatory environment to empower their growth. Progressive initiatives like Startup India, Atal Innovation Mission and Women’s Entrepreneur Cell have propelled India to be the third-largest startup ecosystem in the world. With over 11,000 tech-driven startups expected to dot the country by 2020, conventional industries and frameworks are already experiencing a radical revamp in terms of their fundamental structures. The food processing industry is one such major stakeholder expected to grow at a CAGR of 14.6% till 2020; owing to over 200 startups currently driving innovation and operational streamlining. These startups are introducing rapid innovation to supply chain management, e-commerce-based B2B & B2C models, processing technologies and equipment, storage and logistics, food safety, packaging, distribution and retail within the industry. A quick overview of the food processing industry highlights the importance of the sector. It has the ability to transform the agri-economy of the country by linking farmers to the markets, adding value to the agri-horti produce, reducing wastages and developing efficient supply chains. Strategically positioned at the intersection of the primary, manufacturing and service sectors, it engages approximately 1.77 million people in around 38.6 thousand registered units with fixed capital of $29.7bn and aggregate output of around $144.6bn (2016). It contributes 9% and 11% of GDP in manufacturing and agriculture sectors respectively. During the same time period, the sector made up 13% of India’s exports and 6% of total industrial investment. Bearing in mind its impact on the economy, the Ministry of Food Processing Industries (MoFPI) has focussed on developing linkages, mega food parks and cold supply chains under the Kisan Sampada Yojna, apart from nurturing startup innovation through a scalable enterprise model of the organised sector, by way of institutionalised collaborative mechanisms, which has the potential to drastically transform the Indian food processing economy and associated ecosystem. This article provides a quick overview of the broad gamut of food processing supply chain functions which are being revolutionised by the aforementioned startups, along with their predicted long term impact on the sector. The consumption of processed food in India is on an upswing and the demand for healthy, safe, hygienic and convenience-driven food is further slated to increase. Startups are now offering healthy, value-added, safe and hygienic products with a large number coming up with offerings in healthy snacking category including roasted makhanas, dry fruits / nuts with a twist, vacuum fried vegetable- based snacks , freeze dried fruits, smoothies, juices, certified organic snacks, indigenous ingredient-based products, millet-based cookies/snacks and traditional Indian flavours-based candies. Many of these companies have come up with interesting brands and positioning strategies and are trying to revive the old traditions of India in a new format, packaging and taste that the younger generation appreciates. Another interesting category of startups is in the space of food ingredients and DIY (Do It Yourself) food kits, providing boiled and vacuum-packed pulses, batters/pastes, sauces, mixes, functional foods focussing on specific dietary requirements, fusion foods and baby food. Packaging is a key element of delivering value to the consumer. Capitalising on this opportunity, numerous innovations have been coming up in areas including spray-based formulations, unique dispensing models, shelf life enhancing materials, convenient handling, and attractive visibility offerings for products, biodegradable packaging and edible packaging. There are also numerous new-age packaging solutions being created by startups that offer economic handling, convenient logistics and low supply chain cost to food players. Retention of nutrition through new age packaging technologies has also caught the fancies of many startups in the space. There has been a proliferation of startups adopting age-old technologies in a new commercialised format in segments like dehydrated snacks, as well as the development of newer technologies for catering to the aspirations of consumers for newer varieties and tastes of food. Converting waste to wealth is another big area of handling organic remains of a lot of agri-based raw material that goes into food and pharma applications. Automation-based technologies that enable more efficient handling of the food processing chain has also seen a lot of action in the startups space in India. National level institutes of eminence like NIFTEM have been doing a lot of pathbreaking work in this direction, focussing specially on commercialising and standardising scalable processing technology solutions for traditional Indian food. Multiple startups are working on indigenising processing equipment which otherwise is normally imported at a significantly higher cost from global suppliers. This is a great nation building initiative which dovetails well with the Make in India programme of the Government of India. Focus on reliability, quality and scalability is prime in this segment and there are many able technocrats from the best of global and India technology institutes who are working on multiple offerings in this segment. Indian traditional food which is increasingly gaining prominence in the mainstream organised food services space has seen a lot of action in the recent past. As per a study conducted by CIPHET, Indian agri produce witnesses a loss of 5.2-18% leading to a value of over Rs 92,000 crore. This is huge wastage that can be curbed through efficient storage and logistics solutions. Moreover, the existing storage solution that are currently built for perishables (specifically F&V) fail to meet the temperature requirements for different products and are mostly focussed on a single commodity - potato. The startup fraternity has identified this as a lucrative opportunity and has invested in storage and logistics solutions. Companies have designed portable modules with independent and flexible temperature control systems. Such modules are robust and can be transported from the farmers to the retailers without the need for reefer trucks. Similarly robust supply chain technology and innovations are being developed in storage facility, packaging and shipping in the tea industry. Phase change material base storage solutions, solar energy-based perishables handling systems and sustainable energy powered storage systems are being developed increasingly for micro farm level post-harvest handling of produce. Food safety is a growing concern for the Indian consumer. Awareness amongst the masses on safe and hygienic food has led to an increased demand for safe food products as well as products that can preemptively help consumers as well as food companies. There have been some very interesting beginnings on this front with startups coming up with DIY food testing kits for retail consumers, food testing apparatus for the business houses as well as traceability solutions for the food value chain. Digital technologies are being increasingly deployed in food testing equipment that can test product quality through fast, system-driven and error-free protocols, which makes food supply chains less prone to manual mishandling and also help develop the trust of customers globally and domestically. E- commerce platforms are coming up rapidly in the food-focussed startup community. Consumers are increasingly preferring local service providers who can cater to the customised needs of food delivery and respond to quick turnaround of orders. Many food delivery app-driven platforms have sprung up in larger cities of India and have been offering services in dairy, fruits & vegetables and meat segments in particular in the fresh space. Many traditional brick and mortar retailers have been availing the services of these tech-based distributors. Remote monitoring of last mile service delivery has also become increasingly convenient for larger companies through this route. The Indian post-harvest food supply chain system is plagued by numerous infrastructural, procedural and institutional inefficiencies. Many startups are getting into aggregation models on both the demand as well as supply sides in B2C as well as B2B segments. 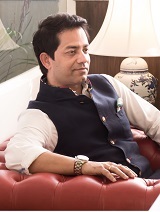 E-commerce has given further impetus to leverage the best of new-age technological solutions to enable value chain actors across farmers, FPOs, consumers, distributors, retailers and supply chain service providers in offering a better value proposition to their respective suppliers and customers. Cloud-based supply chain management and logistic services are transforming the way companies (both large and small) are able to streamline their operations. Startups aggregating produce from farmers and delivering to the doorstep of businesses/consumers are the harbinger of a great socio economic revolution for India’s rural economy. This helps in farmers getting better prices, discovering prices more efficiently, generating consistent demand and receiving payments efficiently. It is also helping grocery stores, restaurants and modern retailers to source fresh fruits and vegetables at competitive prices directly from farmers. Traceability is another asset of the food supply chain, especially in the perishables domain, where the ultimate offering to the consumer is being strengthened through a more trusted supply chain. Coupled with strong technology, data analytics, block chain, state-of-the-art warehouses and integrated logistics network, the building blocks of a world-class food supply chain are being developed by Indian startups. Such models aim at increasing speed, lowering cost and enhancing profitability for the stakeholders.